The foods of Rome’s Jewish quarter are definitely of interest right now, and the lesser-known, somewhat hidden cuisine of Rome’s Libyan Jewish food is no exception. A recent episode of Heritage Radio’s A Taste of the Past goes beyond buzzworthy deep-fried artichokes and walks us through the spicy, paprika-rich cuisine of Libyan Jews with one of the leading voices on Roman food, Katie Parla. In 1967, more than 6,000 Jewish Libyans, facing anti-semitism and violence in Libya, were evacuated to Rome by the Italian Navy in 1967. Rome’s historic Jewish Quarter immediately welcomed them, and today, 4,000 of the 13,000 Jewish residents there are of Libyan descent. From one generation to the next, they’ve continued to maintain their own distinct culinary traditions. What do they cook? The most iconic Libyan Jewish dish, explains Parla, is Haraimi: a spicy, paprika-rich tomato and fish stew served over couscous. Caraway, cumin, paprika, and garlic provide the foundation for most dishes, but their proportions are hotly debated. 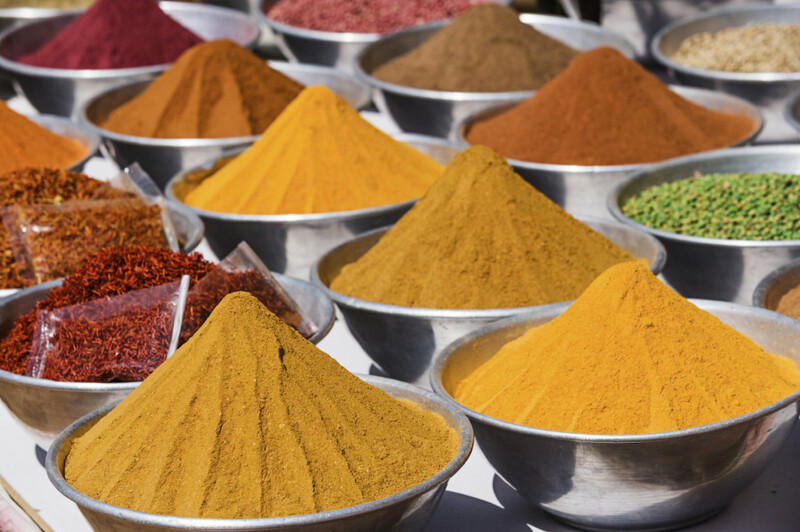 Here, every family has a slightly different spice blend. For Libyan Jews, Shabbat is the best way of preserving their trademark spices and stews; there are just two Libyan Jewish restaurants and most food is cooked at home. “The food, the discussions about food..the repetitions of recipes… is a way to remember the past, and to anchor one’s culture in a new place,” explains Parla. The Libyan flavors of Rome are hard to imagine without tasting it, and if you’re like us and can’t find haraimi or in your neighborhood, you can still enjoy it in true Libyan Jewish fashion: right at home.